So, who is intolerant? Who is closed-minded? MANILA, Sept. 24, 2012—Those who spoke for the most defenseless in society and who championed genuine freedom showed class and composure amid discourtesy from some supporters of the reproductive health (RH) bill during a forum on the legislative measure at the University of the Philippines’ National Institute of Physics last week. Dr. Ligaya Acosta, regional director of Human Life International – Asia & Oceania, and Edgardo Sorreta, Pro-Life Philippines Foundation Chairman, both held their composure even as purple-clad RH advocates spoke out from their seats, apparently in disagreement with what was being said by the speakers. “We let the other speakers talk and we kept quiet. So we ask that you do the same for us,” Sorreta requested in the course of his presentation. At one point, Acosta – toward the end of her talk – paused for a few moments when those seated in the first couple of rows in the audience became somewhat unruly and prevented the invited guest from proceeding as they chanted “Time! Time! Time!” – signaling that her time in the program was up. “Okay lang,” Acosta calmly said with a smile as she waited for the disruption to end. The glaring difference between the speakers, too, did not go unnoticed by the students. Dash Cordero, a senior Statistics major, was immensely disappointed by the repeated jabs against the Church by one of the speakers, particularly due to the emphasis on academic and “research-based” information made in pre-event announcements. “I was expecting that Dr. [Ernesto] Pernia would present his arguments the same way as economicst Dr. [Bernardo] Villegas does – which is precise and easily understandable by non-economics people. But it was just a mixture of pang-aaway sa Church and presenting statistics that were really not that well-explained,” Cordero lamented. The student pointed out that it was unfair of Pernia to make “rude remarks about Dr. Villegas” since the latter was not present. The talk was not worth her time, Cordero said, adding that what was presented was not new to her and companions anymore and that economists advocating a culture of life had already refuted arguments brought up by Pernia. What came as a surprise to Cordero and probably to most of the 100-plus attendees at the forum were Atty. Elizabeth Pangalangan’s remarks and demeanor in the open forum. 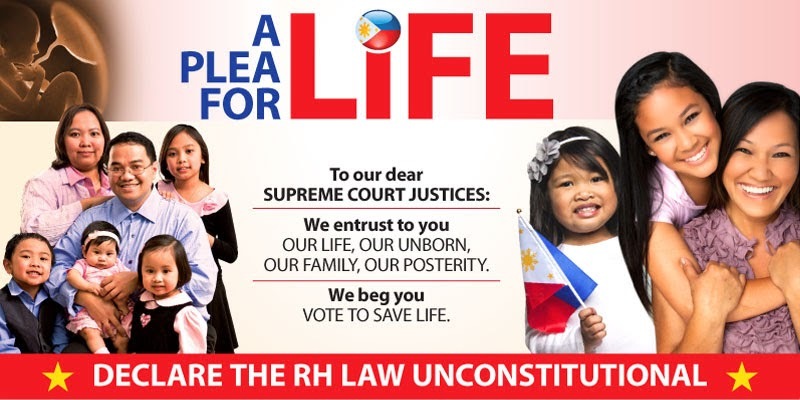 Responding to a question regarding the rights of mothers and their unborn children, the lawyer’s answer betrayed a belief that the equal protection of “the life of the mother and the life of the unborn” by the State as provided in the Philippine Constitution is not really equal. “She even said that it’s okay to use ‘procedures’ – which can be taken as their euphemism for ‘abortion’ – since the baby is not yet born,” the student continued, adding that the lawyer’s view was even worse than that of many, since it implied recognizing the baby’s personhood only after birth. John Walter Juat found the implications of inequality between born people and babies in the womb objectionable, “as if it is the law that states that the life of the mother is worth more than the unborn. One cannot define anything based on what it has or doesn’t have. You define it by its identity,” the Education student said. Human beings are defined by their DNA, Juat explained, and an unborn child or a person who has been born bur has disabilities is not less human just because of the inability to do certain tasks that most people can do. “And now they still deny that they are in favor of abortion? [Pangalangan] had just revealed their intentions – and that is to eventually find a way for abortion to be legalized [in the Philippines],” Cordero lamented. The arrogant manner in which Pangalangan delivered the question and succeeding remarks generated yet more comments of protest. During the lawyer’s presentation, she stated her belief of human beings “from the moment of birth” as entitled to human rights that are universal and cannot be aliented. MANILA, Sept. 24, 2012—Forty years after the declaration of Martial Law in the Philippines, Filipinos are still hounded by attempts to impose legislation despite vehement opposition. Fortunately, the opposition is sustained – and continuously growing, as more and more life-loving, God-respecting citizens learn more about a measure which seeks to earmark P14 billion of taxpayers’ money annually for its implementation. 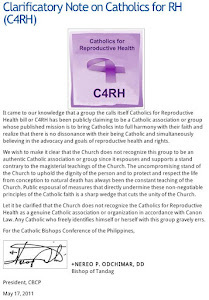 The reproductive health (RH) bill – which includes penalties of fines and imprisonment for those who insist on recognizing conscientious objection, abortifacient effects of certain contraceptives, and the freedom to inform others of the truth on the issue – was the subject of a recent forum held at the University of the Philippines’ National Institute of Physics, which had a former Department of Health (DOH) public information officer as one of the speakers. “In 2004, I discovered deadly deception of contraception. For a year I was quiet, I made intensive research, and the more I read, the more I cried. I realized that contraceptives kill and cause horrible side effects. And that there is no overpopulation – it’s a myth,” said Dr. Ligaya Acosta, regional director of Human Life International – Asia and Oceania. Reacting to insinuations of economist Dr. Ernesto Pernia, who peppered his supposedly academic presentation with jabs against the Catholic Church for “holding Catholic countries hostage” and for “being in the Dark Ages,” Acosta ran through the salient points of House Bill 4244, at one point stressing the punitive measures contained in Section 29. 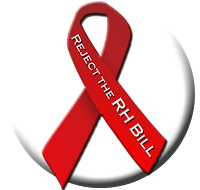 “The RH bill curtails freedom,” she said, explaining the penalties even for employers and health workers, and pointing out that even cases of youngsters’ requests for condoms being refused at health centers may mean punishment being meted out. “Where is freedom of choice there?” she asked. She gave a rundown of the various contraceptives and their damaging health consequences, making sure she didn’t leave out the International Agency for Research on Cancer (IARC) study establishing oral contraceptives as Class 1 carcinogens. The IARC is an agency under the World Health Organization (WHO). “Twenty-one scientists from eight countries ‘yan – hindi po Simbahan ang nagsabi niyan. Hindi po Catholic Church ang nag-conduct ng study na ‘yan,” she casually remarked. “Bakit nga ba tumututol ang napakarami sa RH bill? Let me tell you that it is overwhelming scientific evidence… and of course coming from [the other side], I have a lot of documents,” said Acosta, who was part of DOH for more than 20 years. She also revealed that the use of the use of the phrase “reproductive health” was a well-thought-out strategy in the global effort to make abortion on demand an acceptable option in as many parts of the world as possible – and eventually a legal one in nations where it is currently illegal. Pro-Life Philippines Foundation Chairman Edgardo Sorreta likewise alluded to the coercion being carried out on the Filipino people via the RH bill. "The government has no right to fund the purchase of bibles, crucifixes, copies of the Koran etc. because these are [personal] preferences. In the same way, the government has no right to fund the purchase of contraceptives,” he explained. He addressed the audience – composed of over 100 students mostly of UP Diliman – and told them that the proposed P14 billion that will fund the population control bill is the same amount that could enable over 50,000 scholars to finish a 4-year course in the university. Why give the poor what they are capable of buying? Sorreta also pointed out that oral contraceptives, contrary to the message RH supporters have been trumpeting, are within the buying capacity of the country’s poor. At P40 per sheet containing 28 pills, the expense comes up to less than P1.50 a day. “Kaya bang bumili ng mahirap niyan?” he asked the audience, who was visibly surprised by the figures presented. “Yes!” the audience called out. “So bakit natin ibibigay sa mahihirap yung kaya nilang bilhin samantalang puwede namang ibigay sa kanila yung hindi nila kaya? Edukasyon…” he pointed out, interrupted by applause and cheers. “Is the Church forcing people not to use contraceptives? No, you are free to use them. But don’t expect the Church to keep quiet and be remiss in its mission to proclaim the Truth,” Sorreta added, again eliciting applause from the students. Besides Sorreta, Acosta and Pernia, also speaking at the forum was Atty. Elizabeth Pangalangan, who delved on a rights-based approach to evaluating the issue of the RH bill. While Pangalangan stated that “every human being is recognized as a person and as a right-holder,” her remark that everyone from the moment of birth — not from conception — is entitled to human rights, angered the audience. Together with Angsioco's comments, Pangalangan's reveal the underpinnings that could lead to legalized abortion.